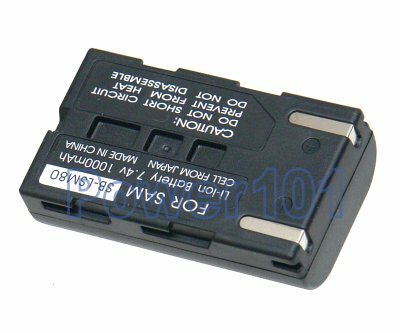 Please use our samsung camcorder battery finder to check which battery you need. SB-LSM80 is the smallest battery in the compatibility series of LSM80 and LSM160. Usually LSM80 is rated about 2 hours and LSM160 about 4 hours. Usage largely depends on the use of LCD. LSM160 is definitely a better choice for most users. Compatible with all Samsung SC-D and VP-D series camcorders. 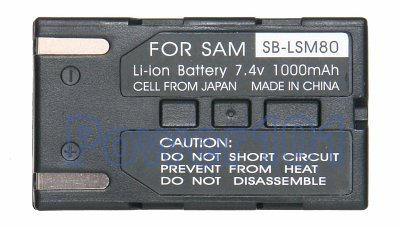 These batteries can be charged by any standard chargers compatible with LSM80 or LSM160 batteries. Such as the charger that came with your camcorder. They can also be charged on the camcorder.